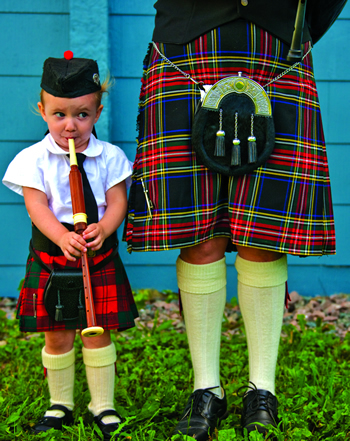 The birthplace of New Scotland, Pictou is where Nova Scotia’s Scottish roots are celebrated and preserved. While the town of Pictou is famous for being the landing site of the ship Hector and its Scottish immigrant passengers in the late 1700s, its history as a settlement goes back much further. The original Mi’kmaq inhabitants called the area Pictook, meaning ‘exploding gas’, possibly a sound that came from coal fields in the region. The region was rich with an abundance of seafood and wildlife and the Mi’kmaq people helped the early settlers in learning the ways of this new land. In 1660, French explorer Nicolas Denys arrived to explore the region and used the Mi’kmaq name to call the harbour ‘la reviere de Pictou’. A century would pass before settlers from Pennsylvannia would arrive followed by the ship Hector from Scotland that brought 170 Scottish Highlanders to Pictou in 1773. 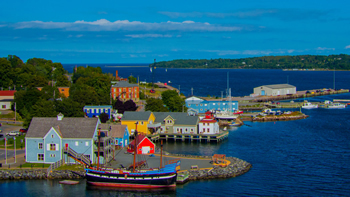 While the settlers from Pennsylvannia took the land on the west side of the harbour, the Scottish established a settlement, complete with churches, schools and businesses, at the site of what is today the town of Pictou. The town of Pictou became a destination for additional waves of Scottish immigrants escaping the Highland Clearances back home. Among them was the Reverend Norman McLeod, who would go on to re-settle his parishioners at St. Ann’s on Cape Breton Island before moving to New Zealand, and Sir Hector Maclean, who brought with him almost the entire populations of Glensanda and Kingairloch in Scotland. Pictou’s industrious settlers, fuelled by the nearby coal deposits and lumber mills, turned the town into an important shipbuilding centre, with its harbour bustling with sailing ships in the mid 1800s. Today you’ll find modern versions of the shipbuilding and lumber mill industries along its waterfronts, overlooking a town that still maintains the industrious nature of its original inhabitants.